Oh yes! 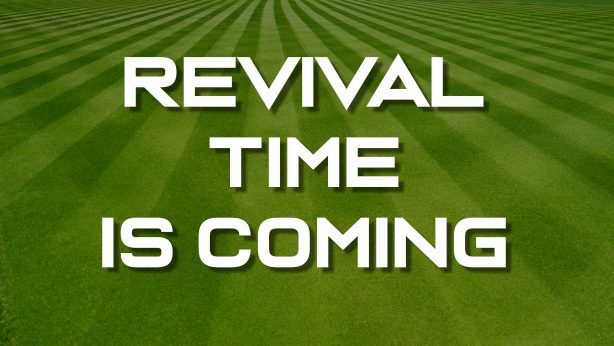 Revival time in Tennessee is coming fast and we ALL know what that means. That’s right Aeration and seeding time!!!!!! Its time to Revive those lawns this fall. NOBODY can beat the way we Aerate and seed our lawns. We take the time, have the right equipment, the best seed and the unbeatable technique to Aerate and seed lawns. It isn’t that other companies can’t do the quality job that we do its just the fact that they Won’t take the time to do a thorough Aeration and seeding job. What’s the difference you say??????? Well we’re glad you asked and here is how we are different……..
We at LEAST triple core aerate the lawn. What that means is that we go over the lawn at least THREE times with the aerators in order to really open up the crust of the soil to allow in moisture and oxygen. This means the grass roots have deep, moist, loose soil to grow into, and a lot of “seed pockets” for the seed to fall into to reduce seed from washing away. We use small tillers in the hard to get areas, around drive ways and side walks and any other areas that the traditional aerators can’t reach. This is so the soil is broken up to receive the new seed. The competition will tell you “Our equipment wouldn’t fit in those areas”. Awww, that’s sad. We use “drop spreaders” around all landscape areas and other areas that we don’t want grass growing in. this takes extra time on the front end but IT IS WORTH THE EXTRA TIME. We like for grass to grow in the lawn NOT the landscape beds! We use a generous amount of Tall Turf Type Hybrid Fescue Seed that makes great grass, is disease and drought tolerant and grows great in our area. The key to proper seeding is to apply the proper amount of seed to your particular lawn. EACH lawn has thin and thick areas of turf. The whole lawn CAN’T be treated the same and we realize that. So we treat your lawn as only you lawn can be treated. Like an individual. Fall Aeration and seeding the single most important thing you can do for your lawn to get it in great shape so don’t let this window of opportunity pass you by. From September into November are our best times to Aerate and seed. Call today, 615-269-7706, to get on our schedule. BTW fescue lawns only grow from new seed and will not regenerate like Bermuda grass. If you know anyone that has a lawn that is an embarrassment to themselves or others, please have them call us on our help line at 615-269-7706 and we can help them. Here at Turf Managers we offer free counseling sessions to those in our lawn recover program. Remember, a lawn is a terrible thing to waste!!!!! 615-269-7706 Call today!!!!!!!!!!!!!!!!!!!! !